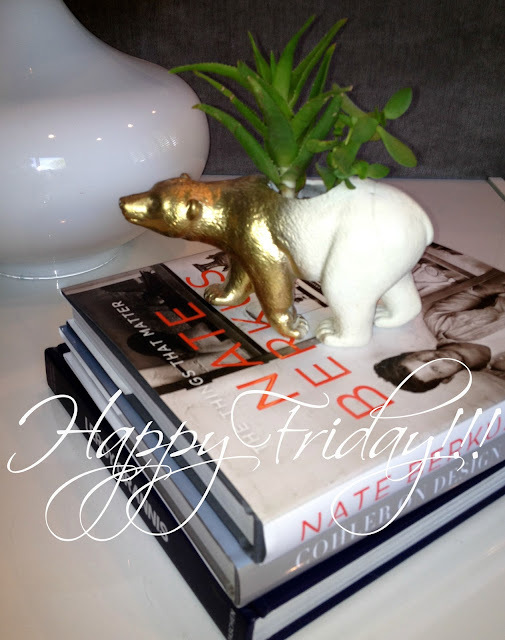 Sherri Cassara Designs: Go Bears! I am getting ready to take my youngest daughter on a little road trip to celebrate her graduation (last December) from Cal. I bought the bear planter at the cutest little shop in Seal Beach called, The Little Shop because it reminded me of her (and the Cal bear ... Go Bears!!!). I am going to try to post our trip for the next couple weeks from my iPad - that is my intention anyway ... I will keep you "posted"! Whatever you are doing, I hope you are having a wonderful day ... Happy Friday everyone! Bear is adorable and really does look like the Cal Bear!